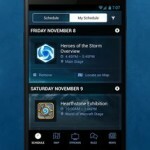 Plan your day – Review the details of the official events taking place at BlizzCon, and add them to your calendar. You can sort your events by day, time, game series, and more. Catch your favorite events – Set alerts for any event on your calendar to make sure you get to it on time. 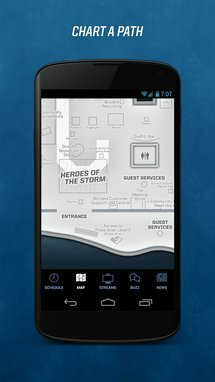 Chart a path – Zoom in on the exhibit hall floor with the BlizzCon map. 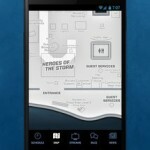 Use it to quickly find a panel, meet up with friends, or just figure out where you’d like to go next. 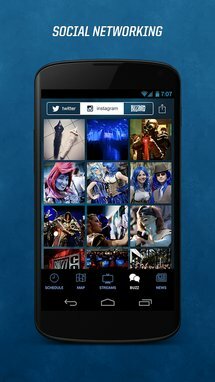 Stay updated – Receive instant updates and the latest news from the official BlizzCon news feed. 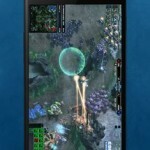 Live Streams – Access the free BlizzCon video streams via the mobile app. Now you’ll have eyes everywhere! 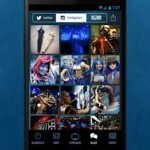 Social Networking – The mobile app now includes full Facebook, Twitter, and Instagram integration. 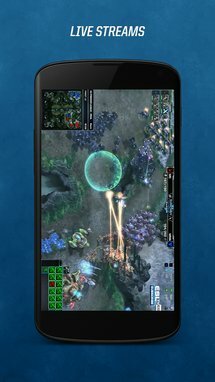 Share your BlizzCon experience with the world! ©2013 Blizzard Entertainment, Inc. All rights reserved. World of Warcraft, StarCraft, Diablo, Hearthstone, Heroes of the Storm, and BlizzCon are trademarks or registered trademarks of Blizzard Entertainment, Inc., in the U.S., and/or other countries. Android is a trademark of Google Inc. Use of this trademark is subject to Google Permissions. * Social Networking – The mobile app now includes full integration with facebook, twitter, and instagram. 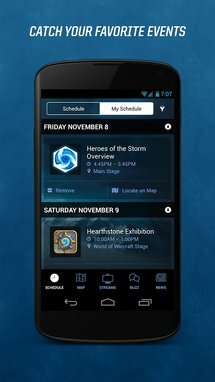 Share your BlizzCon experience with the world!